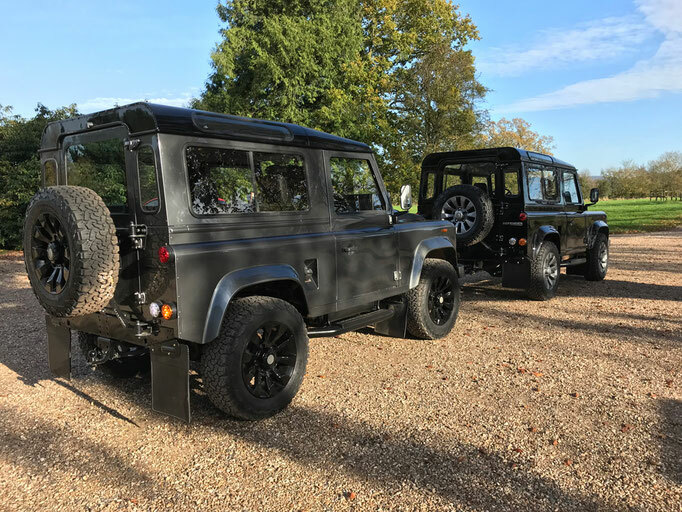 Reveal custom builds of the legendary Land Rover Defenders. The Defender 90 was the most popular model in Europe meaning our LHD Dd90 represents the best value for money. Consider a Mohair Hood over a station wagon for an enjoyable option. 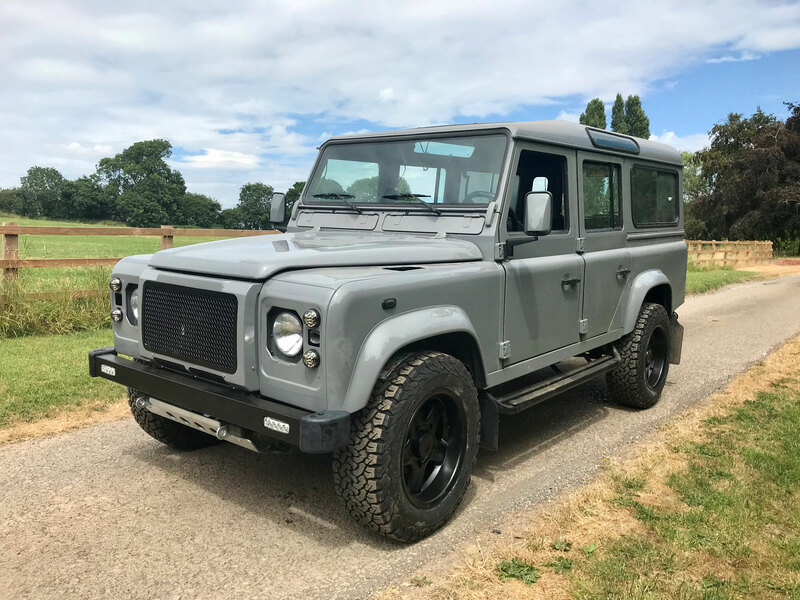 Our standard Dd90 build comes with new OEM doors , other panels are replaced as required. Panels are painted individually and reassembled with care in our British Standard approved shop. 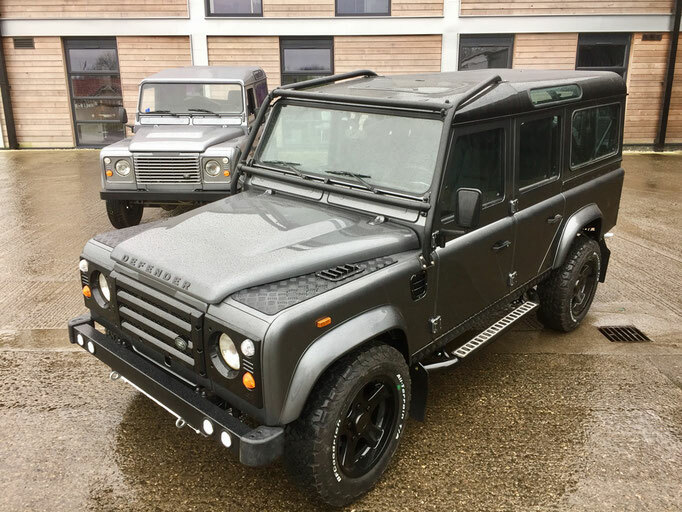 We only choose LHD vehicles from warmer climates than our own to ensure the best base. We steam clean, inspect and repair if necessary before treating with industry leading Buzzweld products for a factory look. Our interiors are supplied as new Exmoor Trim items as standard but this is where your imagination can really go wild; check out our interior partners, Exmoor and Ruskin. Consider a bespoke headliner. Reconditioned Ashcroft transmissions and full servicing including clutch and HD components to ensure future reliability. 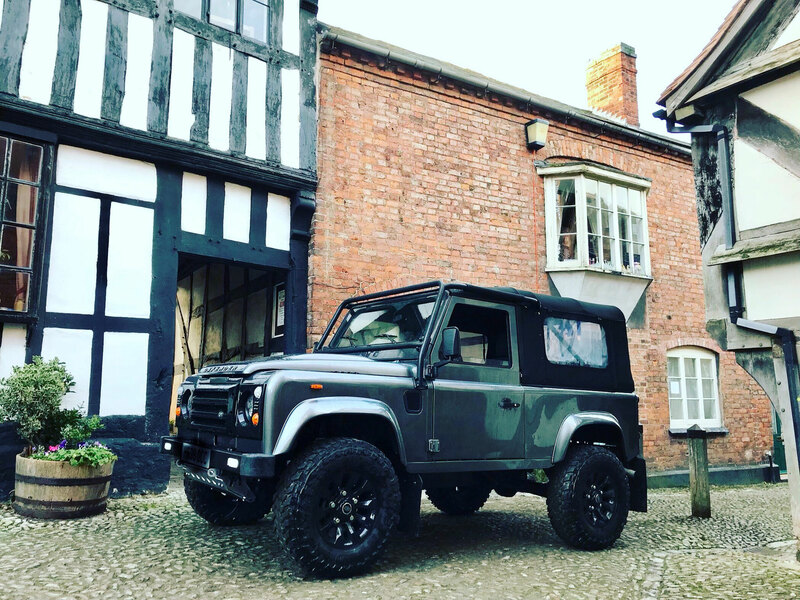 Our LHD Dd110 is our most popular model and demand is consistently strong for this practical vehicle. What is your style? Offroad, urban or classic? 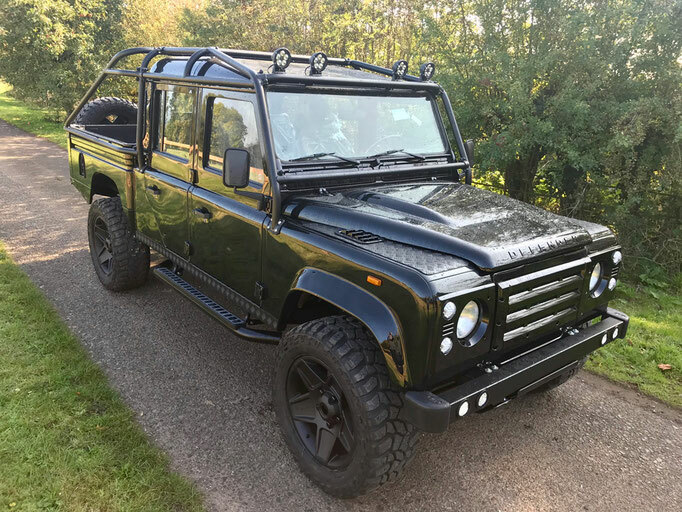 Our standard Dd110 build comes with new OEM doors , other panels are replaced as required. Panels are painted individually and reassembled with care in our British Standard approved shop. 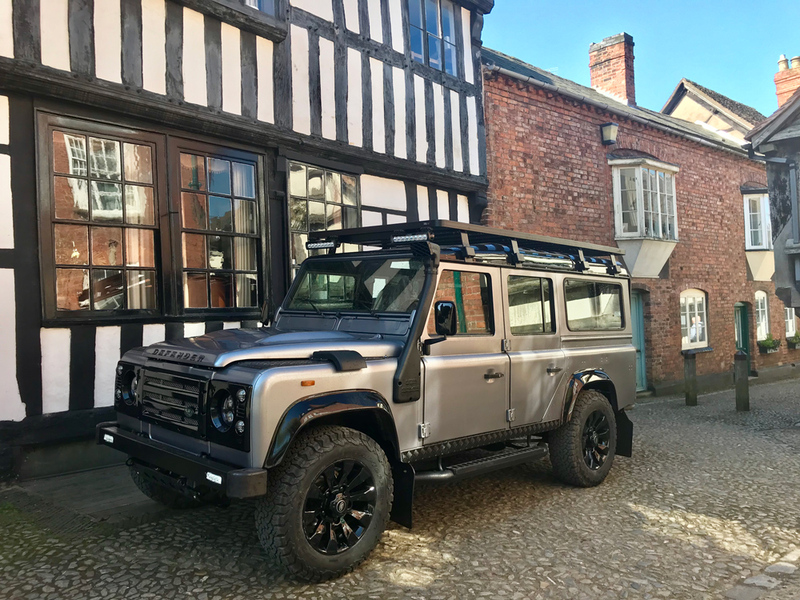 We only choose LHD vehicles from warmer climates than our own to ensure the best base. We steam clean, inspect and repair, if necessary, before treating with industry leading Buzzweld products for a factory look. Our standard LHD Dd130 build comes with new OEM doors , other panels are replaced as required. Panels are painted individually and reassembled with care in our British Standard approved shop. Use this album for inspiration...along with our facebook and instagram accounts. We don't always supply shiny trucks; let us know what you are looking for as a project or a running truck of off-road adventures. We have even supplied trucks with all the parts to build in a single container. 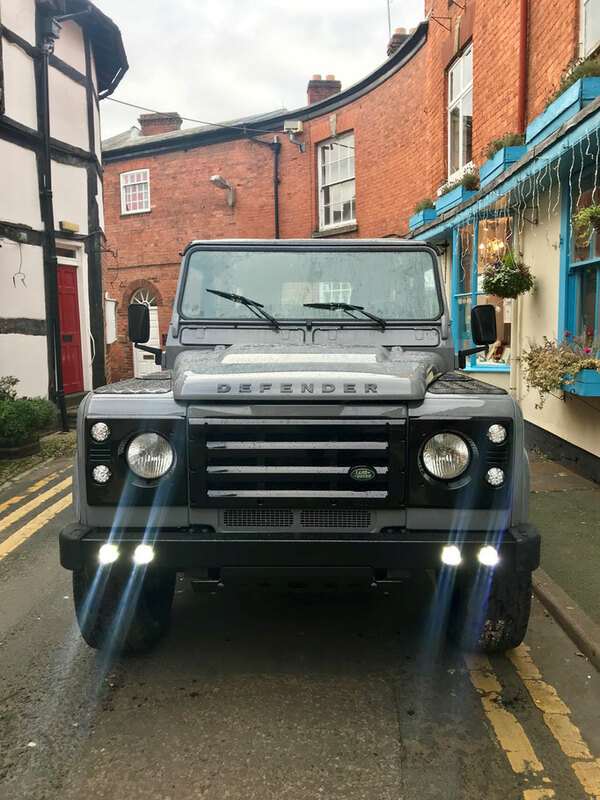 | ©2018 DEFENDERS DIRECT Ltd.